Last month we were proud to have our Finite Element Analyst Nandor Mago in Stockholm, Sweden. Where he attended NAFEMS World Congress and the 3rd International Conference on Simulation Process and Data Management. Now a few weeks on, we take the chance to catch up with him and see how it all went. 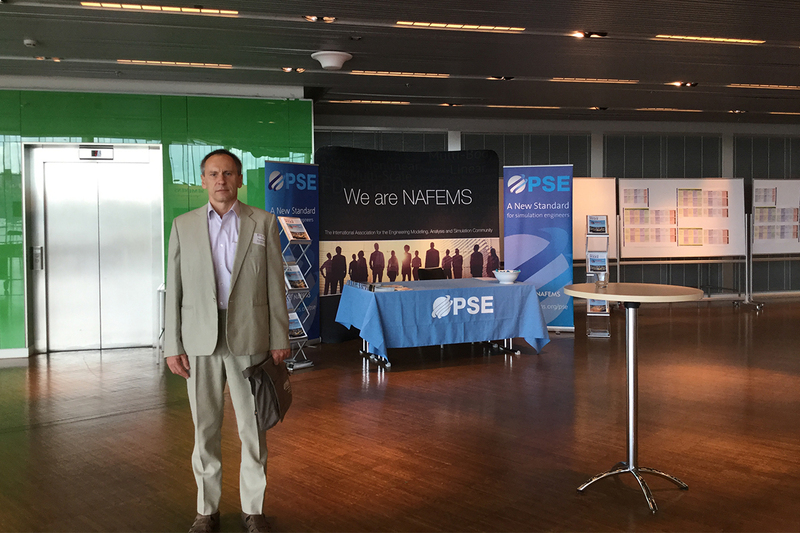 It was great to be one of approximately 630 individuals from around the world in Stockholm for NAFEMS last month. It was an event that joined the engineering modelling, analysis and simulation community together to focus on the practical application of numerical engineering simulation techniques. All so we could better deliver value to the clients we work with. Organised in ten main tracks, the full agenda covered a broad range of topics. Including process simulation, materials data & methods, cloud computing, composites, CAE driven product design, contact & joints, heat transfer, manufacturing simulation – forming/extrusion, to name a few. Here, experts freely shared their understanding of techniques. Delving into Finite Element Method (FEM) for structural analysis, computational fluid dynamics and multibody simulation. Successfully shining the light on how it’ll increasingly influence innovation development around the world both now, and in the future. It was fantastic to hear papers presented. Of note was NWC17’s best presented paper awarded to a kiwi inspired subject – Emirates Team New Zealand. Titled Faster than the wind? America’s Cup Wing Design Process, written by T. Hirche, N. Zehnder, D. Eberle (Ansys, SUI); S. Collie (Emirates Team New Zealand, NZL). For me, this was also an opportune time to present a paper on HERA’s fire research findings. Where I shared insights into sequentially coupled thermal-stress analyses under the civil engineering track. Here we worked with the National Association of Steel Framed Housing to predict the performance of typical light steel framed floors. Successfully showing that New Zealand made high strength steel wasn’t important for fire performance of light gauge steel trusses. While giving confidence to our clients that Finite Element Analysis (FEA) is a strong methodology to accurately calculate potential behaviours. At HERA, we believe that NAFEMS is an important event. Allowing us to keep our industry up to date with the latest technological advances in this area and discover potential collaborative opportunities. In addition, members currently using advanced design that rely on these technologies – can be better armed with information they need to innovate. All as a result of papers made available in the summary of proceedings which we feel could make a real difference to their work. For those simulation engineers who aren’t aware of the NAFEMS Professional Simulation Engineer (PSE) Certification scheme, we recommend you find out more. That’s because it allows engineers and analysts to demonstrate competencies acquired throughout their professional career. Covering certification for entry, standard and advanced levels in 26 different technical areas. Individuals under this scheme gain recognition. And the industry – a way to identify and connect with suitable and qualified personnel. For so many reasons, attending conferences like this continue to be important. For simulation engineers in particular, it’s an important hub of knowledge sharing that can’t be under estimated. And, as HERA works to provide FEA consultancy expertise to our clients, we’re confident that we do so with the latest approaches and understanding ringing fresh in our mind. For further information on the benefits of NAFEMS certification click here.